The SWP over the years has assisted UP communities with a variety of conservation-based, water quality protection projects including storm water management, dune restoration, beach monitoring, and community pollution prevention, just to name a few. Each year SWP projects provide a significant economic benefit for communities across the Upper Peninsula. The SWP staff includes ten year-round employees plus over a dozen seasonal field staff. In addition, many of the large scale SWP field projects require engineering, equipment contractors, materials and labor. The SWP also helps to promote sustain- able economic development including nature tourism, land-use planning and incorporating best practices into regional development projects. In addition, hundreds of homeowners and many local businesses have benefited from SWP energy conservation and alternative energy programs. 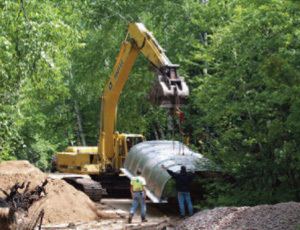 Almost every SWP project, including our community pollution prevention programs, has a direct or in-direct benefit for the Upper Peninsula economy and environment. The SWP works with all five Native American Tribes in the UP including, Keweenaw Bay Indian Community, Lac Vieux Desert Band of Lake Superior Indians, Hannahville Potawatomi Indian Community, Bay Mills Chippewa Indian Community, Sault Ste. Marie Tribe of Chippewa Indians. 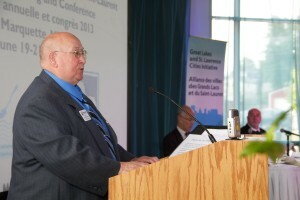 The SWP partners with the Great Lakes and St. Lawrence Cities Initiative. More information here. Lake Superior is unique, a vast resource of fresh water that has not experienced the same levels of development, urbanization and pollution as the other Great Lakes. Because of this uniqueness, the International Joint Commission recommended that Lake Superior be designated as a demonstration area where discharges and emissions of toxic substances that are long-lived in the environment and build up in the bodies of humans and wildlife, would not be permitted. In response, Canada and the United States developed the Binational Program to Restore and Protect the Lake Superior Basin. This program has focused on the entire ecosystem of Lake Superior, its air, land, water, people, and wildlife. Government and tribal agencies and interested groups from Michigan, Minnesota, Ontario and Wisconsin, along with both federal governments, have taken steps that will restore degraded areas and protect this unique headwater lake through activities such as pollution prevention, enhanced regulatory measures and cleanup programs. The Superior Watershed Partnership has been an active partner in the Binational Program for over a decade and has assisted in developing the Lake Superior Lakewide Management Plan (LaMP) and helping to achieve many of the goals of the program including pollution prevention, habitat restoration and public education. With citizen and stakeholder partners, most notably the Lake Superior Binational Forum, objectives have been identified and a vision established for the cleanup and protection of the lake. The governments have funded pollution prevention activities, research to characterize the lake ecosystem and identify the sources of pollutants and their effect on life, projects to clean up, and the restoration and protection habitat. Lake Superior Lakewide Management Plan (LaMP) 2008 A Lakewide Management Plan, or “LaMP”, is a plan of action to assess, restore, protect and monitor the ecosystem health of a Great Lake. It is used to coordinate the work of all the government, tribal, and non-government partners working to improve the Lake ecosystem. A public consultation process is used to ensure that the LaMP is addressing the public’s concerns. Visit the EPA’s website to view all of the Great Lakes Lakewide Management Plans (LaMPs). Attend public meetings regarding land use changes in your watershed. Educate neighbors and family about shoreline protection and good land management practices. Demand clean water regulations from government officials. Gather for fun events like canoeing the river, beach clean-ups and the like. Run for a local government office in your watershed. 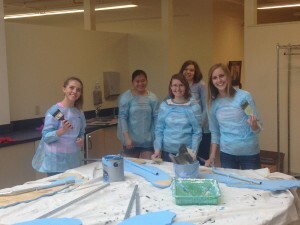 BECOME THE VOICE OF YOUR WATERSHED! The SWP Earth Keeper network consists of over 200 churches of 10 differing faiths across the UP. These faiths include: Roman Catholic, Lutheran, Methodist, Presbyterian, Episcopalian, Unitarian Universalist, Jewish, Zen Buddhist, Baha’i, and the Society of Friends (Quakers). This unique faith network is estimated to represent nearly a third of the UP’s population. Each year the SWP collaborates with this network to implement a variety of community pollution prevention events. The SWP works closely with the City of Marquette to provide programs for city residents and implement projects that protect Lake Superior, promote sustainability and improve quality of life. The SWP assists the city in securing state and federal grants to implement a wide variety of projects that help make Marquette a model city for Great Lakes protection. 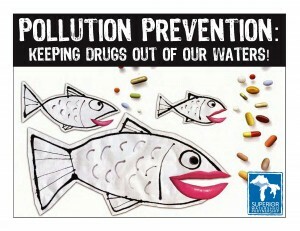 Over the last decade the SWP has received numerous accolades for Great Lakes Pollution Prevention. In collaboration with the Earth Keepers faith network, the SWP hosted several one-day community pollution prevention events at 18 locations UP wide. These events collected: 45 tons household hazardous waste, 320+ tons of electronic waste, and over 1 ton of old and unwanted pharmaceuticals. From welcoming nearly 200 Great Lakes mayors and municipal officials to Marquette with banners in the shape of Great Lakes to a Concert for Lake Superior, the talented artists of the Great Lakes area have contributed a great amount to SWP’s efforts. 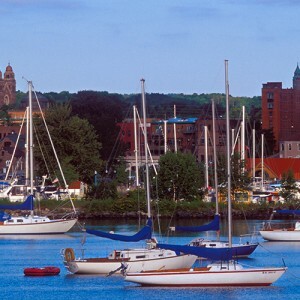 n 2013, the SWP and the City of Marquette hosted the annual meeting and conference of the Great Lakes and St. Lawrence Cities Initiative. Nearly 200 Great Lakes mayors and municipal officials convened in Marquette at the Marquette County History Center for the 3-day event. The GLSLCI works to advance the protection and restoration efforts related to the 5 Great Lakes and the St. Lawrence River.